Below is a list of upcoming and past events. Please note that some of these events will require you to register. See individual notices. Learning Disability Week is an annual event. This year’s theme in Barking and Dagenham is Treat me well. Simple adjustments make a big difference. Treat me well is Mencap’s campaign to transform how the NHS treats people with a learning disability in hospital. A number of events have been planned. Take a look at the leaflet for more information. 13 Jun 2018 - Have you say and influence the health & wellbeing systems within the borough. Location: LifeLine House, Neville Road, Dagenham, RM8 3QS. The strategy will set out a renewed vision for improving health and wellbeing of residents and inequalities at every stage of people’s lives by 2021. As part of the strategy, for each of the themes the council are looking to get the views of residents about the things that are important to them in their health and wellbeing. These will then be incorporated in the strategy, which the council and partners will commit to. 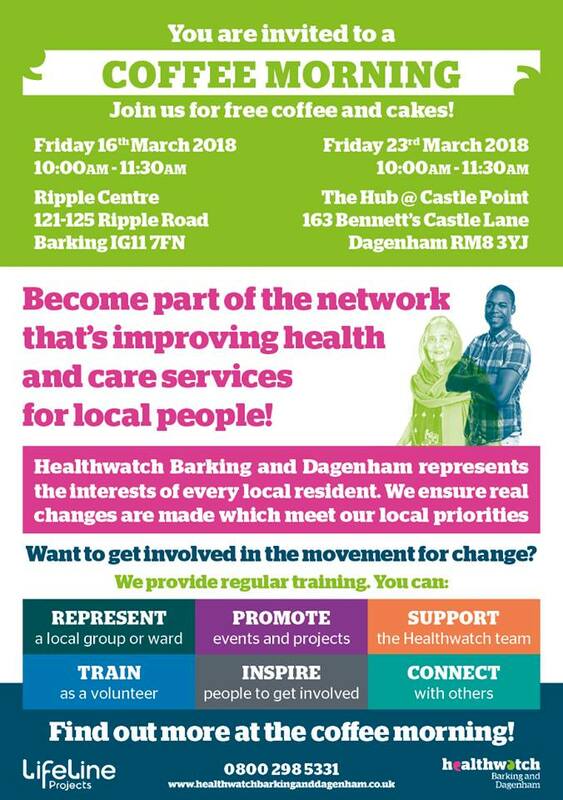 Healthwatch Barking and Dagenham will be hosting a focus group on behalf of the council. These focus groups are a chance to have your say and influence the health & wellbeing systems within the borough. Come and say hello and have a chat with us. 23 Mar 2018 - Join us at our coffee and chat session near YOU! Do you look after someone who cannot manage without your help and support? how to access practical support to help you look after a loved one? • Find out more information about the Carers’ Hub, including benefits and entitlements. • There will also be presentations providing information about other services available in the borough. • A light lunch and refreshments will be provided. Please note places are limited, so book early to avoid disappointment. 21 Nov 2017 - Healthwatch will be at HighGrove Practice in Barking- Come and talk to us! This workshop is about supporting primary health care to improve outcomes for people with learning disabilities. Come along to the Mental Health Marketplace taking place on World Mental Health Day. The event is hosted by Healthwatch Barking and Dagenham. There will be a number of organistations offering information and support. 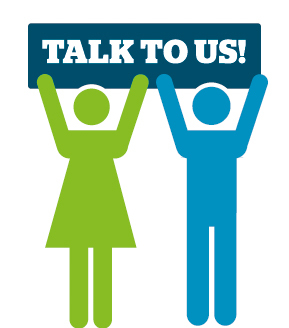 Its your chance to talk to someone who will listen and find out about services available to you. Theres something for everyone, free neck massages, health checks and creative activties. We welcome all health and social care professionals from primary, acute and voluntary sectors who are in contact with and support people who may be in the last year of life. The day will highlight good practice and support collaborative, cross boundary working with opportunities for table top working and sharing of ideas. It promises to be an exciting, informative day.